Ali Reza Yunespour has arrived as a refugee in Australia in 2005, and is currently a research scholar at the University of New South Wales, Canberra. He is writing his thesis on the Politics of Afghanistan’s Higher Education, which examines the relationship of knowledge and power particularly the history, nature and development of education dualism (i.e. Islamic and modern education) in this country. 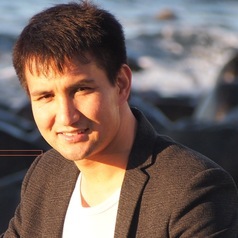 Since mid 2008, Ali Reza has also been working as a volunteer Project Coordinator and Advisor for indigo foundation's education projects in Ghazni Province of Afghanistan that, to date, has benefited a network of ten schools, accommodating around 5000 students (around 40% are girls). Ali Reza has completed his Bachelor and Honours degrees in International Studies (Government) at the University of Sydney between 2008 and 2011. Previously, he has worked in the Department of Foreign Affairs and Trade (DFAT) and was a People of Australia Ambassador with Australian Multicultural Council in 2012 and 2013. He has taught several undergraduate courses at UNSW Canberra. Ali Reza's earlier articles are published on the ABC RN, Asian Currents and the Conversation. He was awarded Sydney University Equity Scholarships, National Volunteer Award in 2011, and Paul Harris Fellow by the Rotary Club of Ryde in 2014.